Planning the Homeschool Year for Your Child with Special Needs: Part 10 – Assessments & Evaluations - GABRIELLA VOLPE, B.Ed.GABRIELLA VOLPE, B.Ed. Now that the bulk of the planning is done, another major step needs to be considered. How will you know if your child is progressing? How will you know if you’re on the right track? How will you know if all of your planning/ adapting/ modifying is even working? The answers come down to two very important sets of information: assessments and evaluations. First, let’s look at the difference between assessments and evaluations, as they are not one and the same, even though the terms are often used interchangeably. Evaluations are what you do with the data you collect. You examine it and then come to a conclusion about how your child is progressing over a longer period of time. The findings then help you with future planning – such as when you plan your next block of learning. While it may sound very scientific, the truth is, you do this automatically. Throughout the day, you most likely observe your child (assessment) and then form a judgement about how he’s doing on that task (evaluation). Your child is involved in a craft activity and you notice that he is trying to grasp the scissors, which he was never able to do until today. Excitedly, you offer him a sheet of paper and notice that he’s making an attempt to cut it, even though he mostly misses the paper and has trouble holding both the sheet and the scissors at the same time. You notice that he’s frustrated and getting really upset about not being able to do it. All of these observations are assessments of the situation. You haven’t intervened, and you haven’t even made a judgement about it. You’re simply in the moment, observing what you see. The next step, which often happens simultaneously, is that you decide that you probably set the activity at a skill level too difficult for him. Holding the scissor was apparently enough for today, but you had him try with paper immediately. You’ve just evaluated the situation. Consequently, you decide that tomorrow you’ll play a little game with the scissors alone. You’ll have him practice cutting the air by opening and closing the scissor accompanied by a little song. What you did here is change/ adapt the activity to better meet your child’s skill level – all because of the assessment and evaluation made. Assessments and evaluations help you alter your plans to better meet the abilities of your child. Without them, you’d be planning and executing Pinterest-inspired activities all year long just because they’re cute. Your province/ state most likely contains a policy on the evaluation of learning. You can find it online where you located your province/ state’s curriculum/ program (part 4). Depending on location, some homeschoolers are required to keep specific types of records of their child’s progress. Always check with your provincial/ state laws. Regardless, I always say to be prepared with records. In case anyone ever asks, you have a collection of data to share as evidence of the wonderful job you and your child are doing! These booklets are the Quebec Policy on the Evaluation of Learning. It contains a lot of jargon-y language that basically says that our province has a law on evaluating all learners in the public school system. It has a small mention that students with special needs are permitted to have “adaptive evaluation conditions”. Back in part 1, when you sat with your significant other and thought about your philosophy of education, you talked about overall goals for your family and child. In part 5, when you began looking at how to make adaptations/ modifications for your child, you narrowed-in on specific goals for him. When making assessments, you will find that your goals will remain the same, but the process to getting there will alter – sometimes daily – all depending on the data you collect on your child. If you haven’t formally thought about goals yet, find your Homeschool Reflections journal and get cracking. It’s not too late to think about these questions. In fact, you should constantly be returning to them as you plan, execute and then assess the activities on a daily basis. When goal-setting, plan with the end in mind. What is the overall homeschooling goal for my child with special needs? What will it look like when he’s achieved those goals? What are my goals for the next 3 months for my child? The questions above get you looking at the final outcome. It’s what you hope to accomplish by the time you’ve completed the learning block. What are my child’s top strengths? What are his top challenges? Based on what I have outlined for the year, what does my child already know how to do? What areas require specific attention? What does my child need from me to develop these skills in the next 3 months? What steps will I take to help him get there? 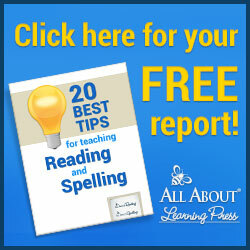 Don’t forget to incorporate points from the most recent evaluation given to you by your child’s specialists. Weave those suggestions into your responses to the questions above. I suggest keeping things simple. I often say that as homeschooling parents of a child with special needs, we have enough to do. The only way I’ll do something is if it’s easy to set-up and manage. And, nothing works better for me than to simply jot down notes in my planner. In part 9, I showed you how I insert a loose leaf sheet between my weekly planner sheets for weekly anecdotal notes. This way, I don’t need to feel pressured to write daily – even though I do add a little something in there each day. I add loose leaf sheets for observations into my planner – which is held together by ring binders. This way, I can effortlessly record, and, then, easily remove the sheets to add to a portfolio later. I like to be mindful during the activity my son and I are engaged in, therefore, I make an effort somewhere later in the day to write a few notes about what I observed. I can’t help but make judgements and notes about how to modify it for him the next time. It’s ok to go that step further, but you don’t need to at this point. If you want to get fancy about it, you can find all kinds of neat checklists and charts online. While this is tempting to do since everything appears organized, the problem is they rarely match your child’s skill level which will tempt you to compare him to the standards (and isn’t the whole reason you’re homeschooling because you want your child to learn at his own pace?) Unless it’s a rubric or developmental continuum, I would suggest keeping charts for evaluation purposes at the end of a learning block. If you won’t write notes on blank sheets of paper because you feel they’re too unstructured, then by all means, print up a chart! (I have included some links to free printables in the resources below). The important thing is to collect data. The method in which you do it is completely up to you. Sometimes, however, I will agree that assessments tools make great guides for planning/ teaching as they can nudge you in the direction of what you might teach your child next. If you glance them over, find one that your child is closest to in skill level (not in grade level) and use it for planning. You can gain great value from assessment tools. I advise you not to get too attached (or saddened) by the skill/ grade level indicated on the checklists you find. Even older children benefit from the preschool tools – if that is where your child is at. Simply white-out the grade level and use the tool as needed. Depending on where you live, there are different laws about evaluations and who administers them. Please look into the legal aspect of this as a third party may be required to look over your child’s portfolio and sign an evaluation form in the process. I think it’s a great idea for parents to look things over at the end of a block of time, regardless of whether your child’s school board is going to send someone, whether you hire someone privately, or not (all depending on the laws in your province/ state). This is an appropriate time to use the forms that you find online (please don’t create them – the wheel has been invented). I have listed some below in the resources for you. Take some time at the end of a season/ term to evaluate what your child has done over the span of the last several months. What has my child acquired that he didn’t know at the beginning of the term? What should we continue to focus on because he still struggles with __________? Can we move on to the next level? How can I change the tasks, materials, etc. to better suit his needs? I’m not a big fan of formal testing, so, I prefer to use rubrics, which are actually developmental continua (that’s the plural of continuum, in case I’ve confused you!). They can be used to assess periodically as well as to evaluate at the end of a learning block. You are already familiar with developmental continua. They are the charts you’ve been bombarded with since your child’s diagnosis. They contrast milestones and birth age. Only, being wise as you are, you’ve learned to replace the birth age with developmental stage. Developmental continua can also be used for assessing academic progress. It allows you to connect assessment to teaching. This is a sample of the Quebec continua that is provided by the Ministry of Education as a means to support the educational approaches of teachers. It shows all of the learning a student is to acquire from grade 1 to 6 – for each subject. This one is the physical education continuum. Note: “Levels” do not stand for grade levels, but levels of competency instead. For example: The Phys. Ed continuum for “to perform movement skills in different physical settings” has a total of 9 competency levels that a child must achieve by the time he completes elementary school. Rubrics are a type of continuum that can also be used to score the child’s progress at the end of a task or learning block. They give a formal analysis of where the child is at and where he needs to go next. The wording in a rubric is often subject- and task- specific, where as the wording on a developmental continuum is a little more general as it spans over the course of a child’s year or even lifetime (as is the case for those milestone charts). A rubric is a scale that is in the form of a chart. It tables criteria with outcomes and scores them along a subject- or task- specific continuum. The fancy word for assessment and evaluation kit is a portfolio. What you’re including in there is all of the assessments (ex: notes, chart, etc.) and all of the evaluations (ex: rubrics, tests/ exams, etc.) as well as sample works and projects into one beautiful collection. Checklists, if you are using any, can be added to a portfolio later. You will find wonderful links to portfolio-creation in the resources. There is no right or wrong way to put together a portfolio. Allow your child to be a part of the process. If he is able to, let him select what he’d like to put in there in terms of samples. Have him personalize it and make it his own. Then, display it on your coffee table for everyone to enjoy! How do you keep track of assessments and evaluations? Do you already keep a portfolio? 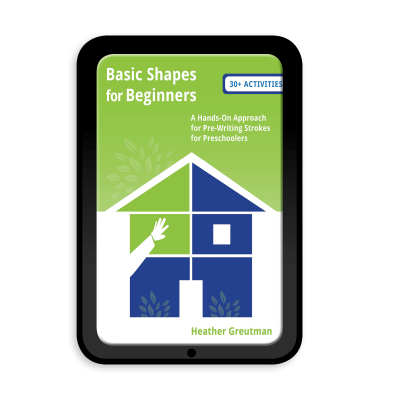 First Steps Reading Developmental Continuum sample – This article talks about the First Steps tool that was developed in Australia, but is used in Canada and the USA as well. 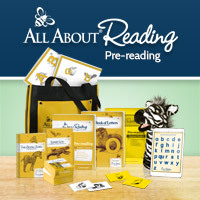 You are officially ready to plan your homeschool year! If you need any guidance along the way, I am available for individual consultations. Together, we can dig deeper into your child’s/ family’s specific needs.